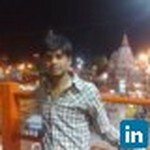 Deepesh Agrawal - Engineer at Hindustan Zinc Ltd. Engineer at Hindustan Zinc Ltd.
-A dynamic Process Engineer offering 2.5 years of experience in Ferrous & Non Ferrous Metals Major, seasoned in Iron, Zinc, Silver, Lead plant operations & Sulfuric Acid Plant techno-commercial project management and plant commissioning. Join Today to follow and contact Deepesh Agrawal.